Despite all the information available about content marketing, many businesses still struggle with forming an effective strategy. One great way to get your content marketing off to the right start is to look at what other successful content marketers have done. 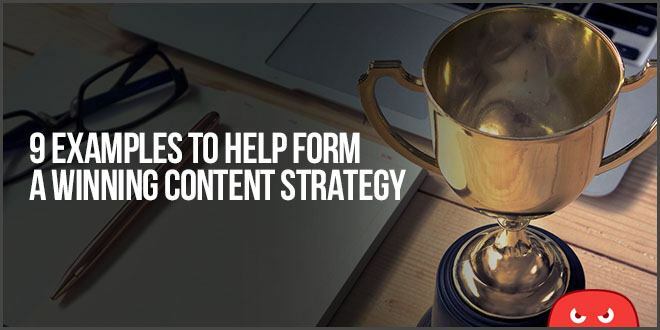 Their success can provide inspiration when formulating your own content marketing plan. Looking for some great examples? Top of the Funnel – In this stage, also known as the Awareness stage, people become aware that they have a problem and start researching possible solutions. Middle of the Funnel – As people learn more through content, they become potential leads. They are getting closer to the purchase and their search queries become more specific. Bottom of the Funnel – At the bottom of the funnel, the prospect is ready to buy. They may search for information on you and your competitors or content topics specific to the goal they want to achieve. If you want to generate sales quickly from content, then you may want to focus on creating middle and bottom of the funnel content. ADP provides software and services to help businesses with HR and payroll management. In one campaign, ADP targeted prospects that were ready to purchase their services by generating a series of white papers on human capital management for various industries. In addition to providing useful information, ADP also gave estimates on how much companies could save by using their solutions. These estimates gave prospects a reason to learn more about ADP’s product offerings. As a result of this campaign, ADP generated over $1 million in new sales opportunities and closed several deals in just three months. Another powerful content marketing tactic is using storytelling to attract an audience. This approach can even be used in boring niches like life insurance. While many insurance companies use commercials to talk about insurance benefits and how much money people can save, Thai Life Insurance took a different approach. They used video storytelling to connect with people on an emotional level and generate brand exposure. Their videos are just a few minutes long and are cinematic short films that convey the importance of love and family values. Thai Life’s videos have accumulated more than 100 million views on YouTube and been shared and watched by people worldwide. They’ve also been recognized at Cannes Film Festival and many other media outlets. An important thing to note is that Thai Life focuses mostly on creating engaging videos and not on selling. They briefly show their company name at the end of each video and a website link where people can visit to learn more. Another great approach for building brand awareness is by entertaining your target audience, which can even work well in boring niches. People love being entertained and a well-designed campaign can even go viral. The ALS Ice Bucket Challenge is a great example of a successful content marketing campaign in a boring niche. Rather than focusing on creating blog articles, the Ice Bucket Challenge encouraged people to dump a bucket of ice on their heads and post it on Facebook or donate to the ALS Foundation. After dumping ice on themselves, people also had to nominate a friend at the end of the video to participate in the challenge. This call to action encouraged people to keep making these videos, resulting in over 90,000 Facebook posts. The campaign raised $5.7 million in under one month, which is a 4x increase from the $1.2 million raised the previous year. Another really effective content strategy is using content to boost SEO results. Studies show that on average, companies that blog receive 97% more links than those that don’t. These inbound links not only boost rankings for blog articles but also increase the site’s overall domain authority. Higher domain authority can also allow a site to rank for its main keywords. Orbit Media offers web design services and grew into a 7-figure business with content marketing. According to ahrefs, Orbit Media has over 220,000 backlinks from over 5,000 unique domains, which is more than 3x the number of links than the closest competitor. 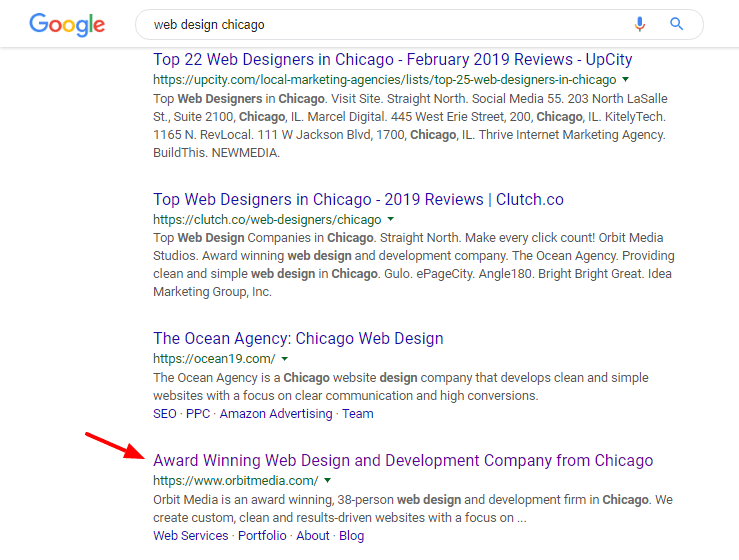 The high volume of inbound links has not only helped Orbit Media rank for many content related searches, but also for its main money keywords including terms like “web design Chicago” and “web development Chicago”. With the high volume of inbound links and the fact that Orbit Media is still creating content, competitors will have a difficult time catching up with them. According to a study by Hubspot, companies that have published over 400 blog posts get 3x as many leads as companies that have published under 100 blog posts. The study also reveals that companies that write 16 or more blog posts each month get 4.5x more leads than companies that only create 0-4 blog posts per month. While creating quality content is important, being able to create a large quantity of content is also crucial. More content allows websites to accumulate more search traffic each month by showing up for long tail search queries. When people start seeing the same website pop up for different searches, they start to remember the company’s name. Readers also visit the site more often when they know that new content will be available each day, which can result in more inbound links and social shares. Hubspot took their own research to heart and published at least one blog post a day on each of their sites. They have separate blogs for sales, marketing professionals, agencies and customer service to reach their target prospects. Hubspot is one of the most well-known content marketing success stories and generates over $500 million in annual revenue while employing over 2,000 employees. NerdWallet grew its valuation to over $500 million using a similar approach as Hubspot by beating out competitors like Bankrate, Lending Tree, and The Motley Fool. According to AHrefs, the site ranks for over 3.1 million keyword phrases and a quick search shows that the site has over 47,000 pages indexed in Google. Nerdwallet also leveraged their popularity even further to cement their position as a leader in their niche. They created their own award to recognize some of the best providers in the financial space including well-known enterprise-level businesses like Discover and Chase. 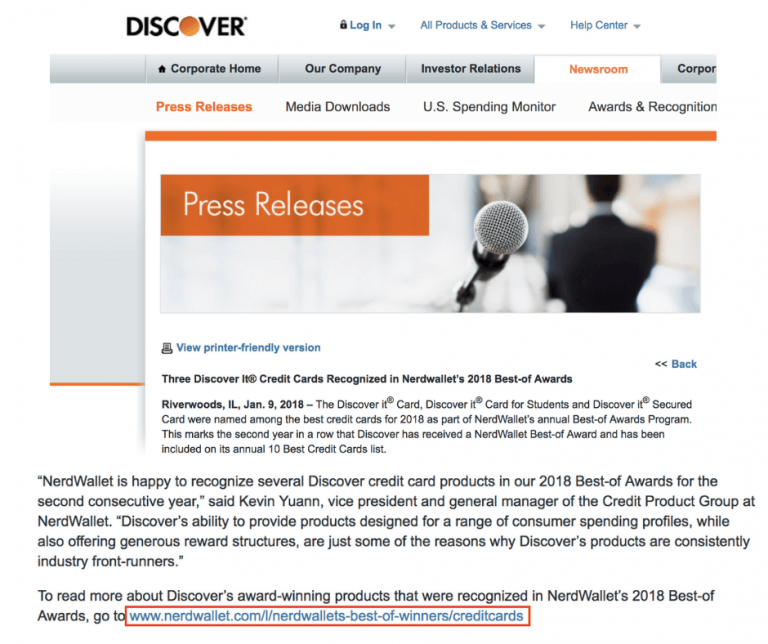 In return, some of these sites (including Discover) also linked back to NerdWallet. Through a partnership with the Associated Press, NerdWallet also was able to syndicate their content to over 1,650 news outlets. Additionally, they allowed other people to submit content to their site through guest posting and other partnerships, significantly increasing content production. 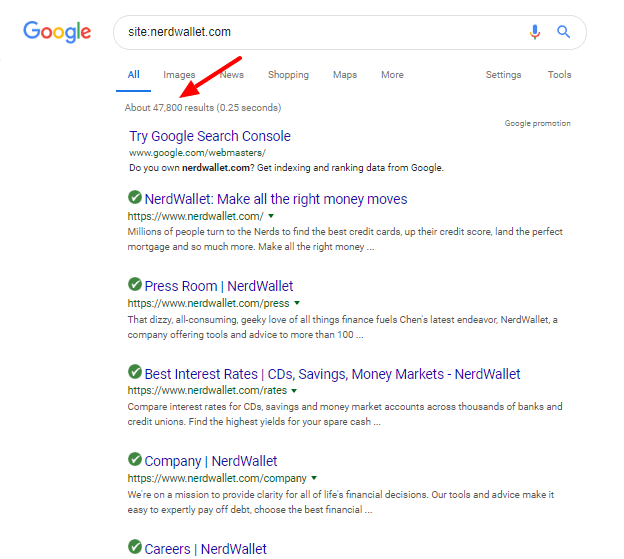 You can learn more about NerdWallet’s content strategy in this post. Some businesses are bootstrapped and don’t have a large content marketing budget. GrooveHQ was one such business, but founder Alex Turnbull was able to grow his business to over $5 million a year in just three years with content marketing. GrooveHQ’s content marketing formula included creating great content combined with an effective outreach strategy to build relationships with influencers. The goal was to create content that was so good that influencers would want to share it with their followers. For content creation purposes, Alex decided to share his startup journey as well as revenue numbers throughout their growth. Alex embraced using transparency and this approach attracted the attention of other startup founders and marketers. Many content marketers reach out to influencers and ask them to share their content, but Alex decided to take a different approach. Instead, Alex focused on building long lasting relationships with influencers using an engagement schedule. Basically, Alex made a list of influencers that he wanted to connect with and made sure to share their content on Twitter and comment on their blogs regularly. After he built the relationships, he would later email them and ask them if he could share a blog article with them. Alex got over an 80% positive reply rate with this approach. Building relationships before he needed them allowed Alex to get 1,000 subscribers to his blog within 24 hours of launching and quickly grow to over 5,000 within a month. One of the best ways to get in front of your target audience when doing content marketing is guest posting on popular blogs in your niche. Guest posting allows you to quickly reach an audience that may have taken someone else years to build up. Guest blogging is most effective when done consistently. When people keep seeing your name on other industry blogs, they start to become aware of your brand and many will start to follow your blog directly. Buffer is a social sharing tool that allows businesses to schedule content sharing on their social media accounts. 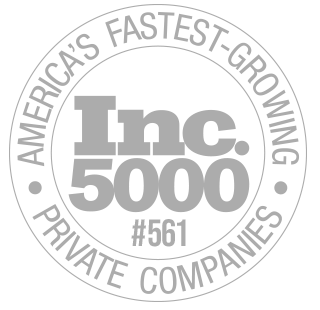 Leo Widrich grew Buffer from zero to 100,000 customers by doing 150 guest posts in 9 months. Creating original guest posts required a good amount of time, so Buffer later adapted a syndication strategy to increase their reach even more. They took their most successful content and syndicated it to other high traffic sites for more exposure. For example, Fast Company re-published Buffer’s popular article on the ideal length of tweets, Facebook posts, and headlines which resulted in 6,000 additional social shares. Guest posting is one of the most popular strategies for building an audience and many other businesses have focused on this strategy to grow. One of the biggest challenges that content marketers face is creating engaging content that stands out from the competition. In fact, 57% of content marketers report that creating more custom content is their top priority. A great way to create unique content is to do your own original research. Original research is one tactic that separates thought leaders from other content creators that are simply rehashing the same ideas that people have already written about. Moz is one company that used original research to beat out its competitors. Content marketing allowed Moz to grow to over $47 million in annual revenue in 2017 and site traffic continues to increase each year, getting close to 19 million visits in 2017. A good example of data-driven content is Moz’s Local Search Ranking Factors Survey where Moz sends a questionnaire to industry professionals and compiles data on their responses. Moz also keeps its data up-to-date by conducting the survey each year and discussing any changes from the previous year. Moz runs marketing experiments to see what does and does not work with SEO and online marketing. In one experiment, Moz bought links and found that it helped with SEO rankings, which contradicts common SEO beliefs that buying links is always harmful. By creating unique and useful resources, Moz was able to attract influential followers in the digital marketing space. Doing your own research requires additional resources beyond hiring a content writer. But organizations that invest the time and resources to create this type of content and promote it can stand out from competitors to achieve thought leadership in their industry. To sum it up, learning from other successful content marketers is a great way to find ideas and inspiration for your own content marketing plan. Even boring niches can use content marketing to thrive by being creative and using entertainment to connect with their target audience. Content marketing is not only useful for attracting your target customer but can also help with SEO and creating broader brand awareness in your niche. If you’d like some help with your content marketing, check out HOTH Blogger and Blogger Pro where we’ll create awesome cornerstone content for your site. You no longer have to come up with ideas, write the article, edit the content, and post the finished version. We’ll take care of all of that for you! Let content marketing be what drives your business forward in 2019! Let us know in the comments some of the tactics you use to create great pieces of content. Excellent article, to put into practice some of the ideas presented here. Thanks for sharing. Good list and good examples. I especially like the tips for boring niches. Outside the box thinking for sure. Thanks Clayton! I found the beauty of the post to be that there are many ways to be successful as long as committed and consistent. Thanks again Clayton for another insightful piece. But What is your opinion as Guest posting is considered as PAID LINK by Google. Of course I like guest posting as it helps me to get quality backlink but i hope you wlll clear this matter. Thanks and Best wishes for you, Clayton!! The NerdWallet great good and solid strategy to grow your funnel. Thanks Clayton. Thank You Clayton for those great examples! I like the example of the Nerdwallets and Moz. Original research with data driven marketing is definitely a good strategy. I will be deploying these tips in my own content marketing effort. Thank you again! the article is very useful. and give a new idea, for me. thank you … I will try, these steps. Absolutely outstanding and most certainly a blogger, like myself, can apply 3 of those techniques, create quality content 16x a month and get out there and guest post! Seems like a bloggers ideal strategy! Great article with inspiring story, thank you..